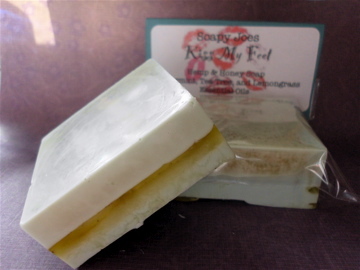 Each bar is around 4.5 to 5 oz and uses essential oils that are great for the feet (they have anti-bacterial and anti-fungal properties) plus this one has apricot seeds for scrubbing! 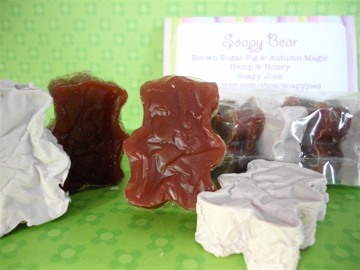 These ones are great for a gift because you get 2 different kinds of soap with 2 different scents. They are cute too (in my opinion)! 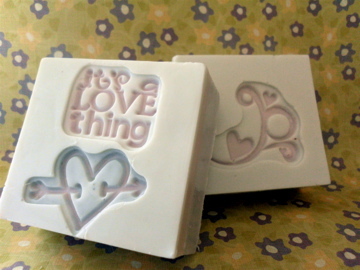 Previous 2 more bars Next More new soaps!